It seems a fitting tribute that this collection of images from drMikey is posted after the disappointment of the Emmys last night. The waveforms may have been unofficial but the whole project gave us something to hang on to and participate in while the last official LOST events were happening. Click here or on the image above to go to the Island Isn't Done With You Yet web site, or click here to go to the original waveform post where all the direct links to the paintings and puzzle solutions are displayed. The paintings are still available for sale so if you are thinking of purchasing one contact drMikey by going to the website or email drMikey for more details. Next a little bonus if you still want to celebrate the phenomenon that was LOST, Bonnie (andalone) sent us these two scans of a postcard that was picked up at the auction. 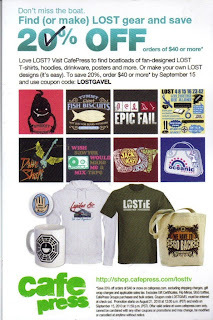 It gives a discount code for Cafe Press items if you spend over $40. I'm not sure how many more articles will get posted at LOSTARGs, but no matter how many do I've had a fantastic time being host to a wonderful group of people that have time and time again proved that this world of ours can be a most excellent place when we want it to be. Dr. Mikey, they are all beautiful ! you did a great job. Zort, you have done a amazing job here,. I have to say that this has been my home for such a long time and I will hate to see it go. I'm glad there is another to take it's place. I can only hope that it does half as well. OMG...this can't be over! What about the release of the Lost Encyclopedia? Isn't that post-worthy? I know, I know...I'm desperate. It's sad to see this site slowly fade away (as has TLC), and hopefully, there will be another show that will inspire us again to get together. Maybe it will be The Event (Zort has already set up a blog at The Event Community in hopes that it's discussion-worthy). I know a lot of you are friends on Facebook so we will stay in touch in our lives. And it will be hard to duplicate The Lost Experience. It was an honor to have been (and continue to be) a part of the Lost Fan Community. No not completely done, but close to it. I'm not ready to totally let go just yet, but I feel the end is round the nearest corner. I would keep checking back if you like the drMikey paintings, I have a feeling something quite interesting will happen soon. I just sent my Jeff Boyes.. Desmond print back to Jeff today to get it signed finally!! It's getting all weepy and nostalgic around here! Well I know that I was a latecomer to the party here but have to just say that this in an awesome place full of super great LOSTies. It was great to meet so many of you last weekend at the auction. I too will be sad to see some of my LOST haunts begin to shrivel up now that the epic six years are over. LOST is the greatest show in my lifetime and has affected me and will continue to affect me in many ways that other shows just will never cone close to. I will always hold the six years that LOST was on the air near and dear to me. For anyone interested now that our bright, shiny new complete series sets have arrived, a good friend and fellow LOST-aholic and I are doing a rewatch. We're starting from the beginning and moving through at a nice, do-able pace of two episodes a week. That will take us through December 2011 to finish with a break here or there. We are currently putting the finishing touches on our website where all the information will be found. We are starting on 09/22/10 -- Crash Day. Our hope is to create a cool community with other cool LOSTies much like the one here at LOSTargs where we can experience and discuss the show all over again after having the perspective of seeing the whole show. We have some AWESOME things planned and it would be really cool for you to join us. We have to go back! In fact that's our web address www.wehavetogoback.net. Talk to you all soon!! This is a place we all created (Thanks to Zort!) to remember. We're not leaving....we're moving on. Funny how life can imitate TV and in some cases TV can imitate life at times. In my own personal journey on a daily basis and in some respects I am speaking to LOST and this incredible community... as much as it pains to say... I know I can let go now in more ways than one. Why would he make a Rose painting before a Ben or Desmond painting? Zort- Thanks for hosting this little community. I am so happy to have found it and to have been so warmly welcomed. I've gained so many wonderful friendships and I know we will stay in each others lives for years to come. taylor: if this series had been popular enough, i was going to do a series of the tailies, others, and then other big players. 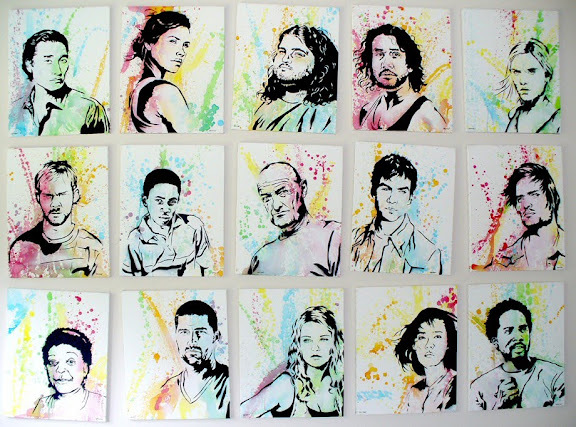 this series was just meant to encapsulate the original season one survivors, the first batch of characters we came to know and love. i know! i freaked out a bit when he actually responded :) very exciting! I have a couple of LOST dvd sets that are signed by Damon Lindelof, Adam Horowitz, and Eddie Kitsis. Season 1 and Season 4. I wanted to know if anyone here is interested in them before I post them on eBay? Did someone just talk about "The Event" favorably? The first show that unabashedly tries to imitate LOST? I remember I posted here that once LOST was gone, there'd be a horde of imitators. 1. "The Event" features a plane crash. No subtlety there. 2. "The Event" being called that, is unmistakably identical to "the incident" in LOST. I thought NBC's "Heroes" tried to compete with LOST, but this? This looks like it's trying to be LOST. 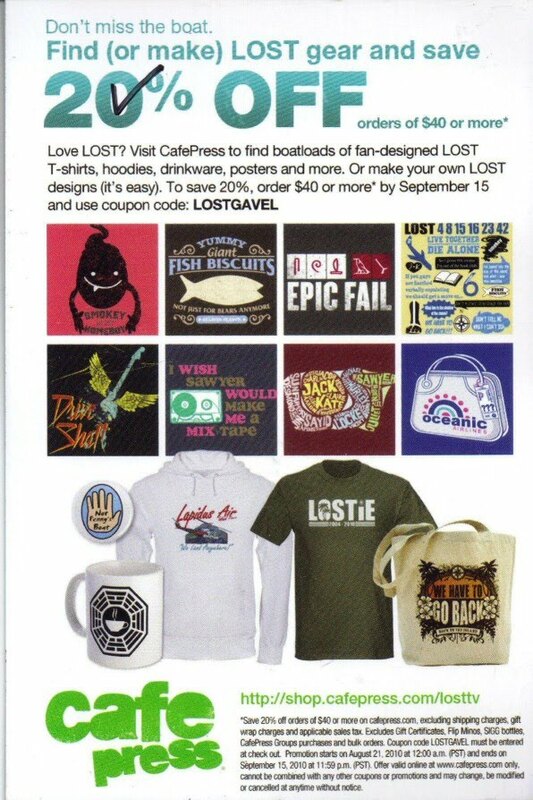 Shows will keep coming to try to replace LOST -but one day they will realize it was not just a show. It was an experience. And that experience was different for everyone. And I know that they cannot just erase my experience with another TV show. Hi all, I've put a NEW POST up. I understand how much you love Lost, but producers are always going to try to create a formula that will get an audience's attention. Once someone hits on that then others are going realize what is selling at the time sci-fi, action, conspiracy etc. and want to create their own version. It is about the money after all. 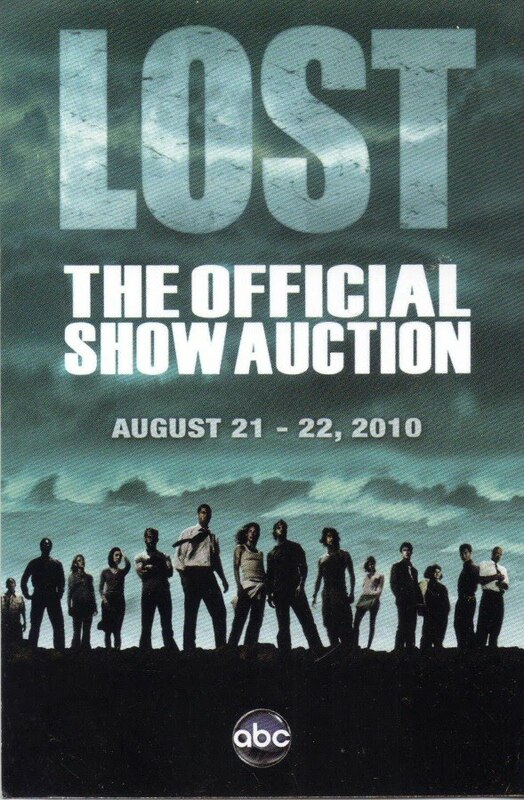 I've yet to see anyone imitate Lost the show, only the genre. I've haven't really seen hordes but I have seen a few tries at the genre. I for one can enjoy more than one show in the same genre and am actually glad that producers are trying to create more of these types of shows. Because I enjoy the genre. I'm looking forward to The Event not because it reminds me of Lost but because it looks exciting. As for the plane crash in The Event it hasn't been grabbed by an electromagnetic force and crashed. It's been hijacked and if I'm interpreting the promo right the pilot has been shot and it's being used as an assassination attempt. 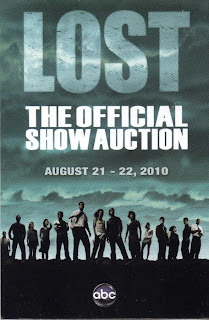 Every show with a plane crash isn't trying to imitate Lost. The X-files, Lost, Twin Peaks, Alias, all were great shows in their own right and similar in genre with great fan followings. And maybe The Event will be too, or it could be canceled after 3 shows, who knows. Lost could have been canceled too, they just had the right formula at the right time. Yes they are saying they are giving answers. But it is marketing. There were more than a handful of fans that were disappointed in the final season of Lost and the finale. Of course those fans aren't going to get the publicity of the one's who loved it. But producers of other shows are aware they are out there and they are marketing to them. And to be honest Damon and Carlton weren't always completely honest about their show either. All that being said I enjoyed Lost it had it's hits and misses like any show. The community it created was amazing and I glad I was apart of it. Don't begrudge someone else the same excitement and enjoyment. Oh the last line of my last post wasn't aimed at anyone in particular just in general. I also should have included Fringe as a great show with great fans in the same genre.